Its Roshni here.. 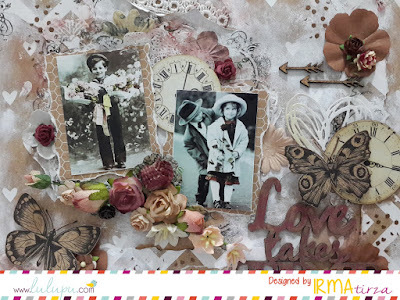 Sharing with you a layout I made using Gold Crackle Texture paste from Prima Marketing and papers from ‘’My Golden Garden” by Papericious both being a part of my DT kit. 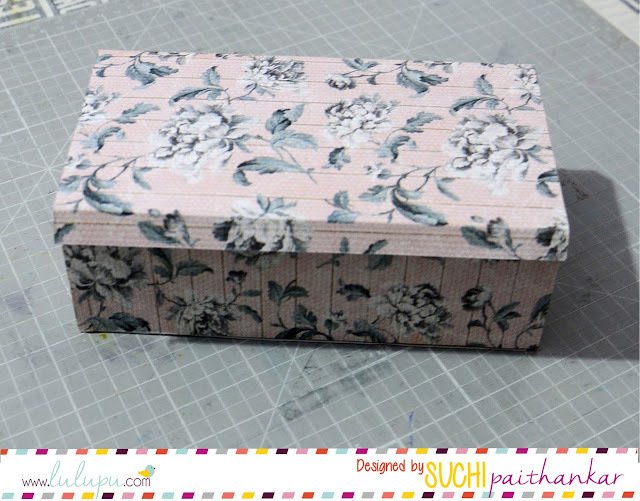 close up of the crackle effect..
Labels: decoupage tissue box, pattern papers, Prima, Roshni Gupta, texture paste. 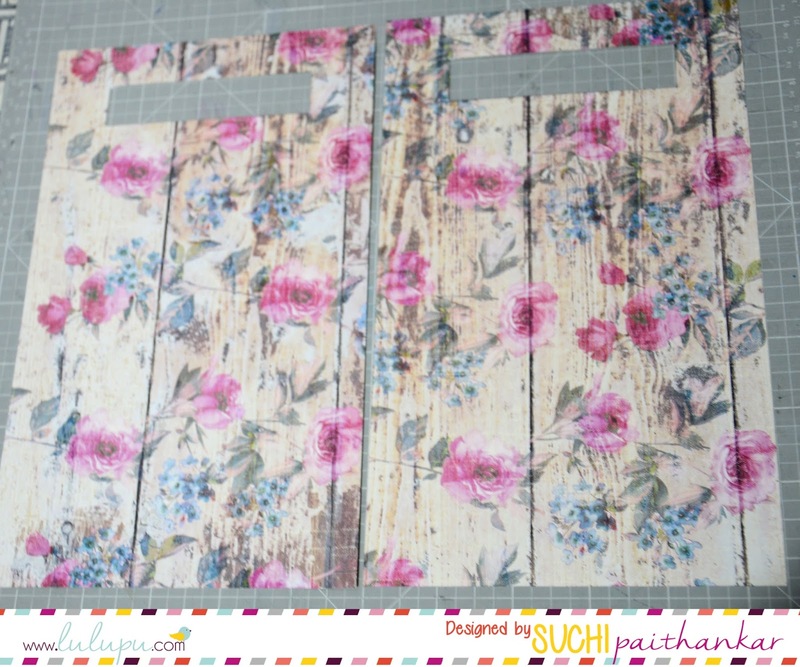 Suchi here with you all today! 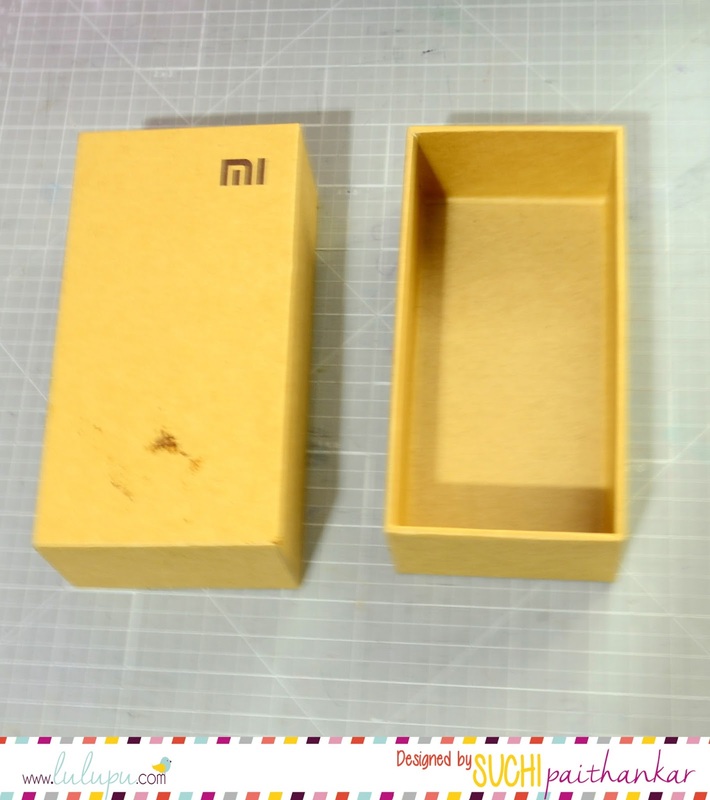 2.Cover the box using papers and let the bottom paper be more than its size. You will know why in the next step. Add Gesso over the edges to prime the surface. 4.I used Heartfelt Creations stamp- Tattered blossoms from the store which you can find here. 5.I don't have co-ordinating dies for it. So, I fussy cut all the flowers. 6.I scrapped the background sheet which is from Papericious. You can find it on the store HERE. 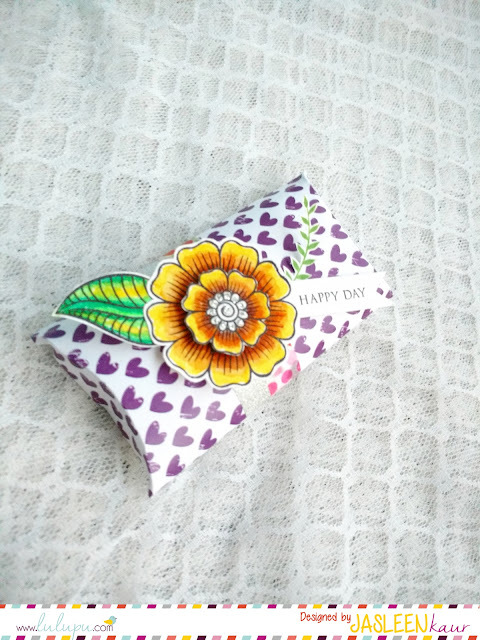 And the gorgeous button is also from Papericious which you can find HERE. 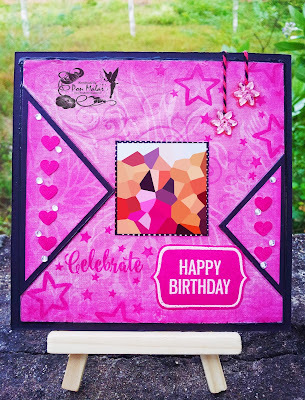 This is Jasleen here and today I'm going to share a few cards and other stuff I made using the gorgeous Altenew Hennah Elements stamp set I received in my DT kit. This stamp set is undoubtedly one of my favorite stamp sets of all time. Very versatile and such beautiful images. 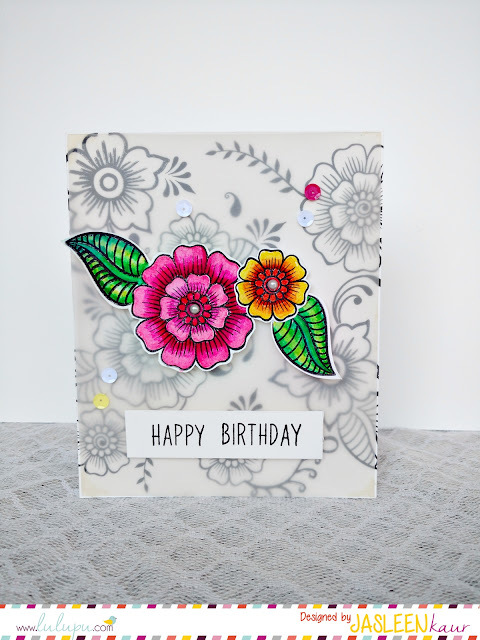 For making this one, I stamped the floral images all over the card base to make the background. Stamped the same floral images on a piece of watercolour paper, coloured those flowers using the Faber Castel connector pens that were gifted to me by my friend Vijaylaxmi Siyal. I loved the results. Then those floral images were fuzzy cut to be later embellished over the vellum-covered card base. I love the how vellum gives a softening effect to the background, so that the main floral images pop beautfully. :) Finally, stamped the sentiment and added the Sequins. Lulupu has a beautiful collection of sequins. You can find them HERE. I started off by sticking a patterned paper from the gorgeous Papercicious 6 by 6 paper pad- Often collection, over the card base. Then cut out a piece of black cardstock at an angle, as shown. Stamped the beautiful lace border and the 'congrats' sentiment from the Altenew stamp set in versamark ink and white embossed it using white Ranger's Embossing powder and heat tool. Stamped the floral images from the Altenew- Hennah elements stamp set on a piece of scratch card stock, coloured it using distress inks , fuzzy cut them and mounted them over the card using 3d foam tape. I love how lovely they look against the polka dots patterned paper. 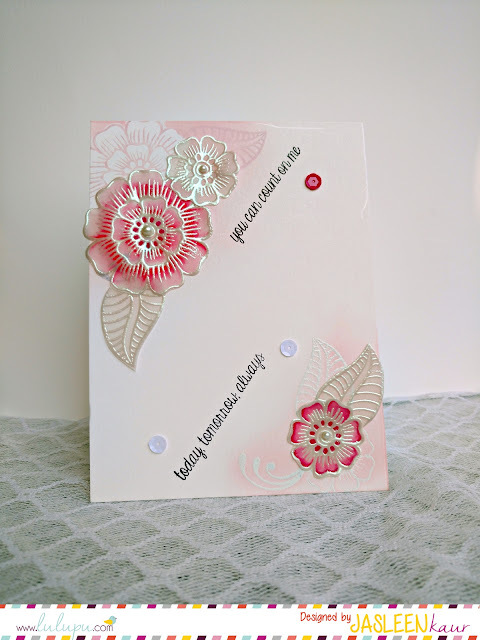 For this one,I stamped the flowers in the corners of the card base using Altenew ink in coral pink colour and sponged the corners lightly in the same colour of the ink after masking off the flowers. 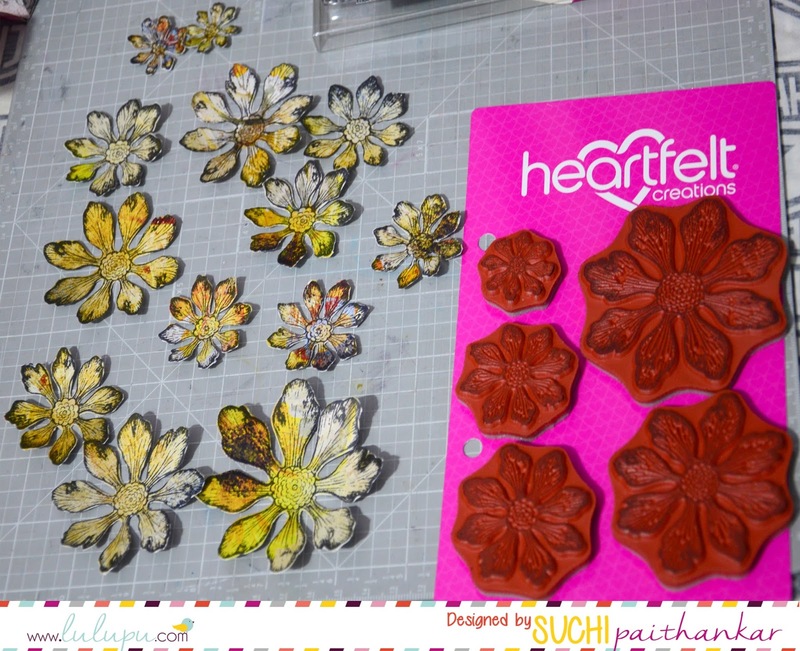 Then I stamped and silver embossed the flowers over a piece of vellum and coloured them using Faber Castel connector pens. I used the Lindy's silver embossing powder here. Then, I fuzzy cut the vellum flowers and mounted them over the card base using Ranger's glossy accents(it acts as a perfect adhesive for sticking transparent/translucent elements) Stamped the sentiment and finally finished off with a few pearls and sequins. 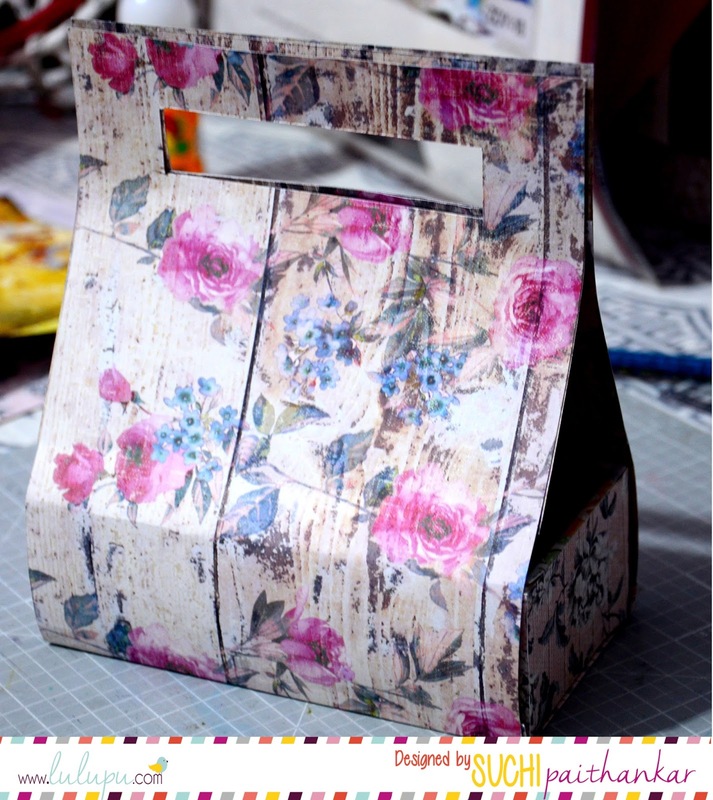 A pillow box made using patterned paper from the Papericious -Often collection and embellished with flowers from the Altenew set and washi tapes from the Lulupu store. 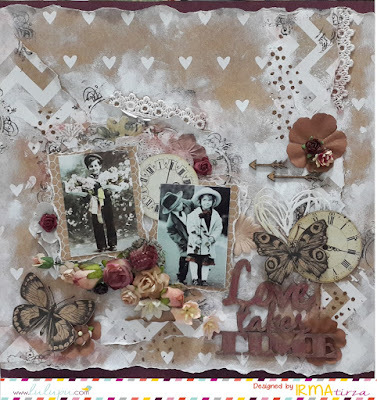 Looking forward to seeing your creations for this month's challenge. Link them up HERE. Thanks for visiting. See you all soon..
Today I will be sharing with you several techniques to use the awesome product Inka Gold that's now available on store. Inka gold is metallic water soluble paint with a creamy texture with beeswax being the main ingredient it is non-toxic and had a super fast drying time. Works well with porous surface and is available in a wide range of color. It can be used for giving a metallic finish to all your craft and home decor items. You can buy it here. Suchi here! Hope you are set for this month's challenge. You can find the Link up HERE! Today, we have Suzna - the winner of our January Challenge - joining us here to be our Guest Designer! 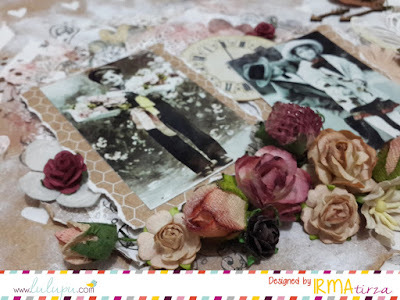 She has made beautiful altered projects! But before that, let's know more about her. Over to Suzna! I had the great pleasure of being this month's Guest Designer over at Lulupu. Hope you all liked my last month's card linked to 2-0-1-6 Recipe Challenge! Thank you to Karuna for asking me to be here! Hi, my name is Suzna KH from Kerala, married and now settled in Bangalore. I am a B-Tech graduate in Electronics and Communication, but I’m interested in crafting. I worked earlier but quit my job as soon as I conceived my adorable little boy and now I am a stay at home mommy fully dedicated to this wonderful role of motherhood. Also, balancing time with my passion for crafts. 1. Create a Card, Layout or a 3D Project. 2. 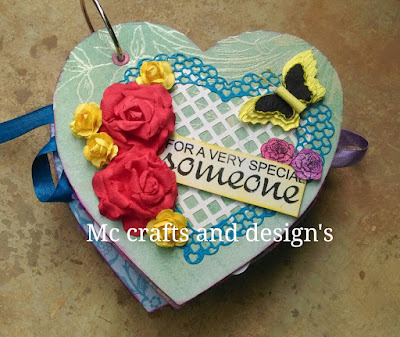 Use Hearts & Arrows (both) in your project in ADDITION TO any other embellishments you wish to use. 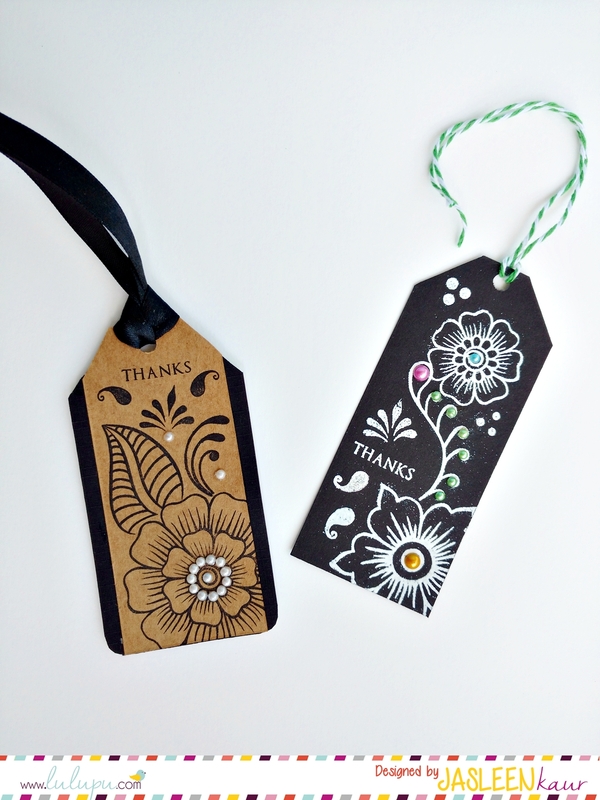 The hearts & arrows could be either on your patterned paper, stamped, die-cuts, stickers, hand drawn, wood veneer or sewn on your project - anything. But make sure Hearts & Arrows are visible. 3. Try and use colours other than RED & PINK. Though red and pink ARE ALLOWED, we'd like to see how you get creative with the colours. 4. Last date for submission is February 29, 2016, 11:55 PM IST. Before submission, please read general guidelines HERE. For my project, I decided to make a 6" x 6" Card. I have used papers from Kaisercrafts' Notes & Things 6x6 paper pad. Hello friends.....Irma here ! nice to meet you again . Today I would like to sharing my layout with a brand new challenge. 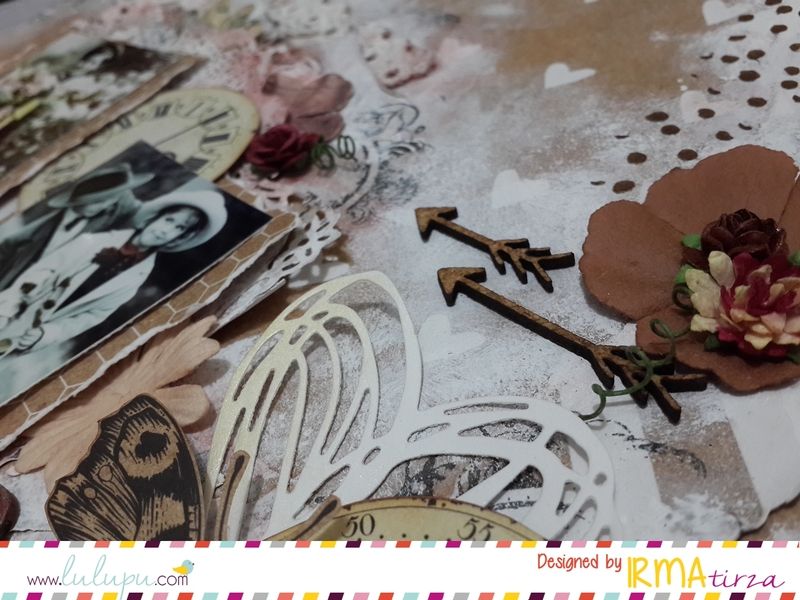 Use hearts, and Arrows ( both ) in your project, in ADDITION TO any other embellishments you wish to use. 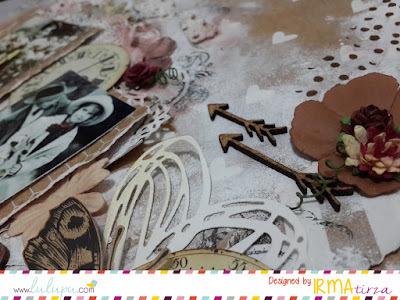 The heart and arrows could either be fom a patterned paper, stamped, die-cuts, stickers, hand drawn, wood veneer or sew on your project - just anything. But make sure hearts and arrows are visible. Try and use colours OTHER THAN RED & PINK. Though RED & PINK ARE ALLOWED, we'd like to see how you get creative with the colours. Here is my love layout cause our theme is Hearts & Arrows it mean about Love . 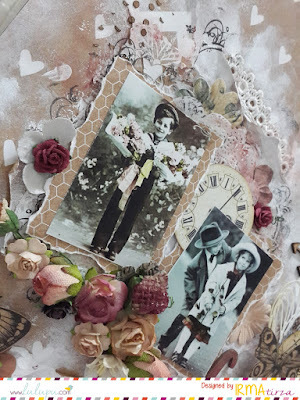 I use a pattern paper from Kaisercraft - Mix & Match Collection , it suitable for my vintage style .First I tear one of a pattern paper and glued randomly , after that I apply white gesso with sponge. I use some vintage boy and a little couple images to my focal point. 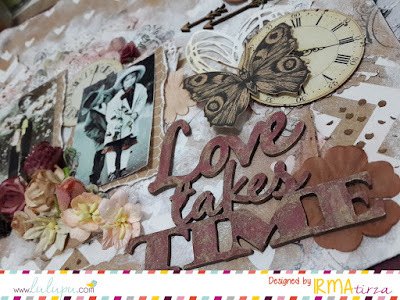 I decorated the pieces , a wooden arrows , a heart die cut, flowers , a fussy cut of butterfly and vintage clock from the paper. The chippie Love Takes Times is my Title and I color the chipboard with ink spray and cover a little with Silks acrylic glaze. Hope you like my works, please leave a comments and don't hesitate if you have any question, I try to get asap. Next I will make a pictorial so you will be clear with my explanation. 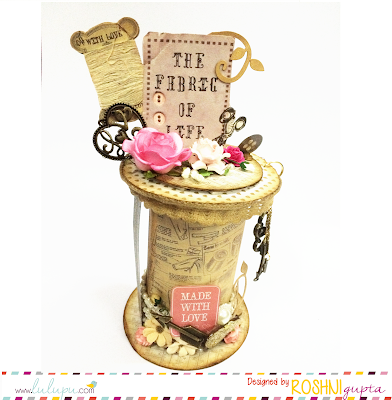 Its Roshni here and today for the February Challenge Hearts & Arrows I have made a 3D project. I received this Needle & Thread Kaisercraft Paper Pad in my DT kit and inspired by this awesome paper pack I made a spool. It was an ideal valentine gift for my mom as she loves stitching. I used this pretty pattern paper to cover the spool and fussy cut a lot of elements from the paper pack to decorate it..... since the theme for the February Challenge was hearts I also used another paper from My Golden Garden Paper Pad that was also a part of my DT kit.. sharing the tutorial followed by a few pictures of my project. Hello Everyone! 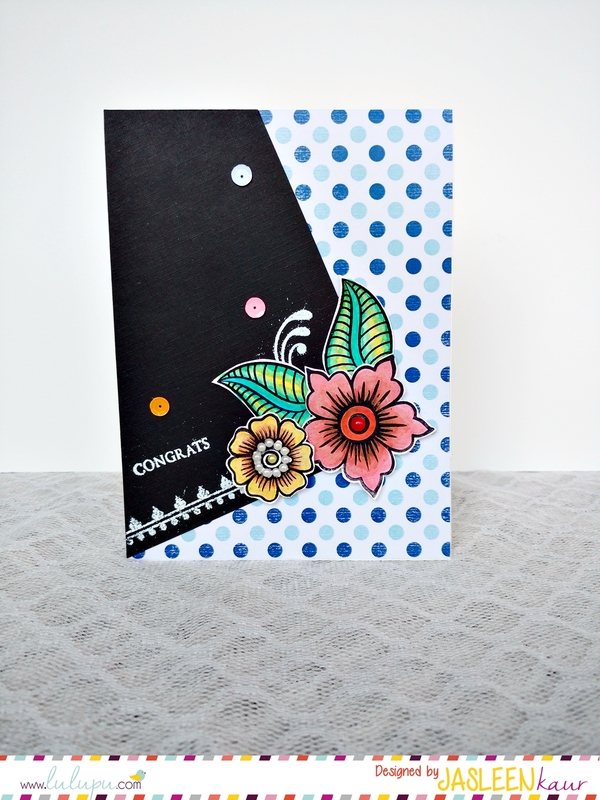 I am Suchi here with you all and today I am going to share with you all THREE cards i created for our current Feb challenge! As you know the theme this month is to use Hearts & arrows both in your project- I started off by choosing to make cards! 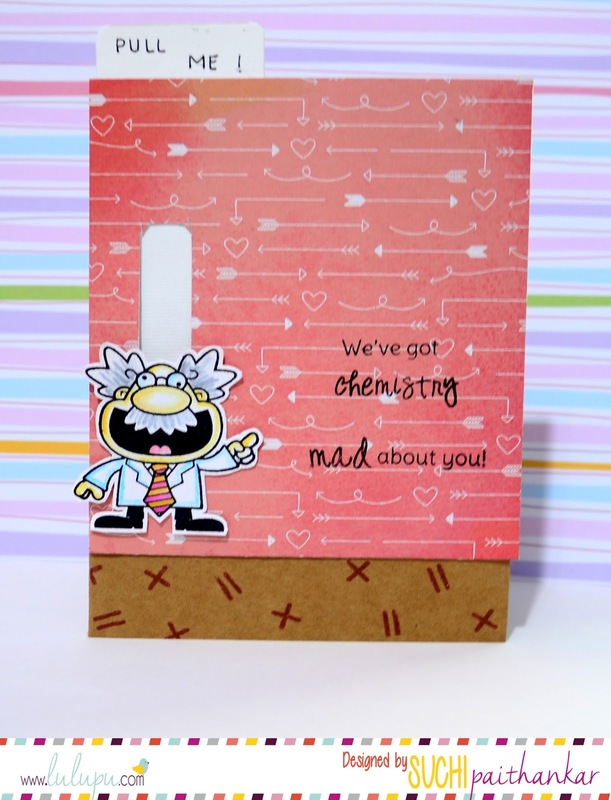 I received Your Next Stamps- Perfect Chemistry in my DT kit. Oh! These stamps are adorable, I tell you! I am showcasing Notes & Things paper pads which you can find HERE on the Lulupu store. My first card is a fancy fold card. I love to make slider cards! 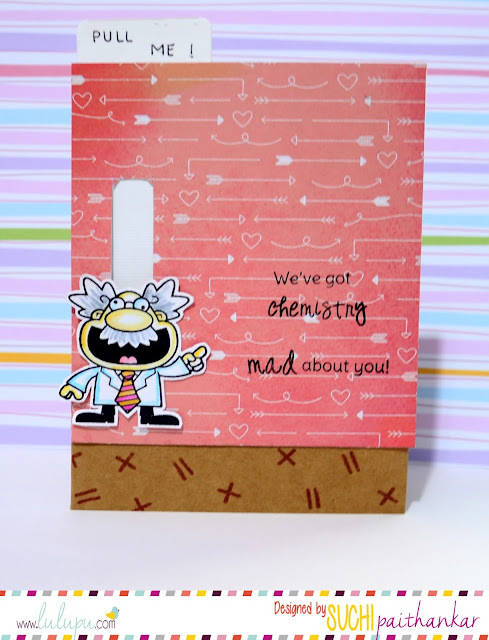 I colored this adorable crazy professor stamp using distress ink and Koi water color brush. You can find a great range of ink pads HERE on the store as well. 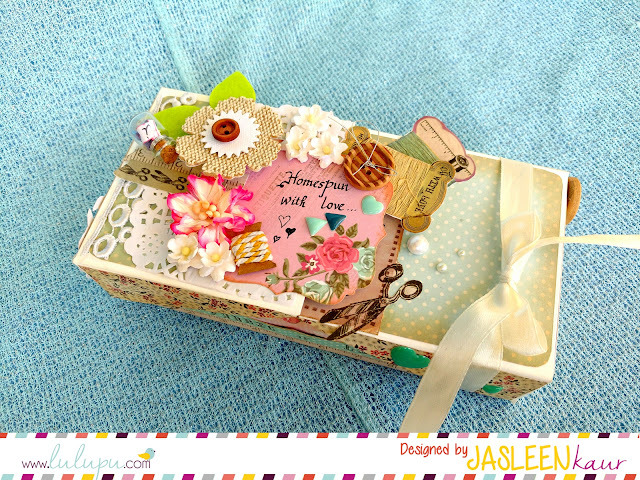 This is Jasleen, back with a brand new challenge for the month of February. But before that, let me thank all of you who participated in the 2-0-1-6 recipe challenge last month. We’ll be announcing the winners very soon. Stay tuned. 2. Use hearts AND arrows(both) in your project, in ADDITION TO any other embellishments you wish to use. 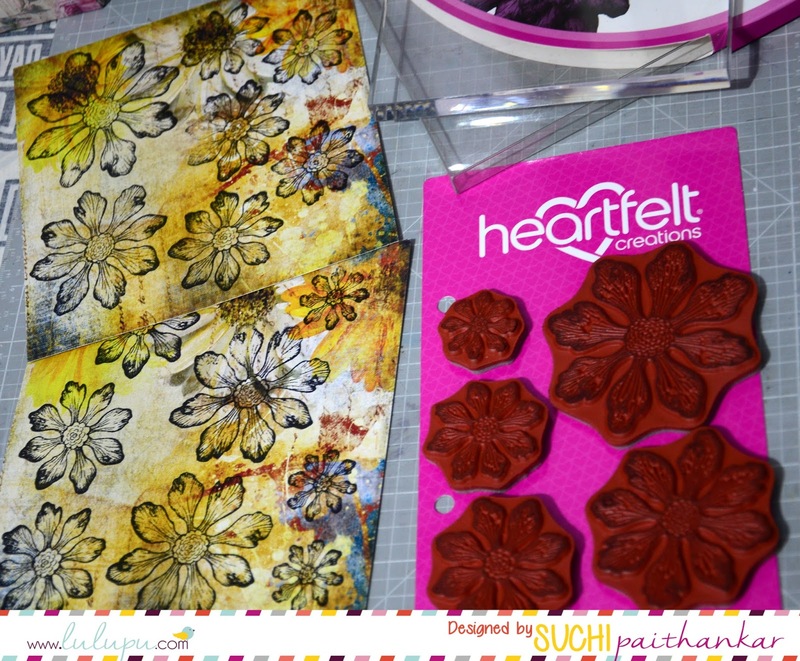 The hearts and arrows could either be from a patterned paper, stamped, die-cuts, stickers, hand drawn, wood veneer or sew on your project- just anything. But make sure hearts and arrows are visible. 3. Try and use colours OTHER THAN RED & PINK. Though RED & PINK ARE ALLOWED, we'd like to see how you get creative with the colours. Here’s what I've come up with, for this month’s challenge . 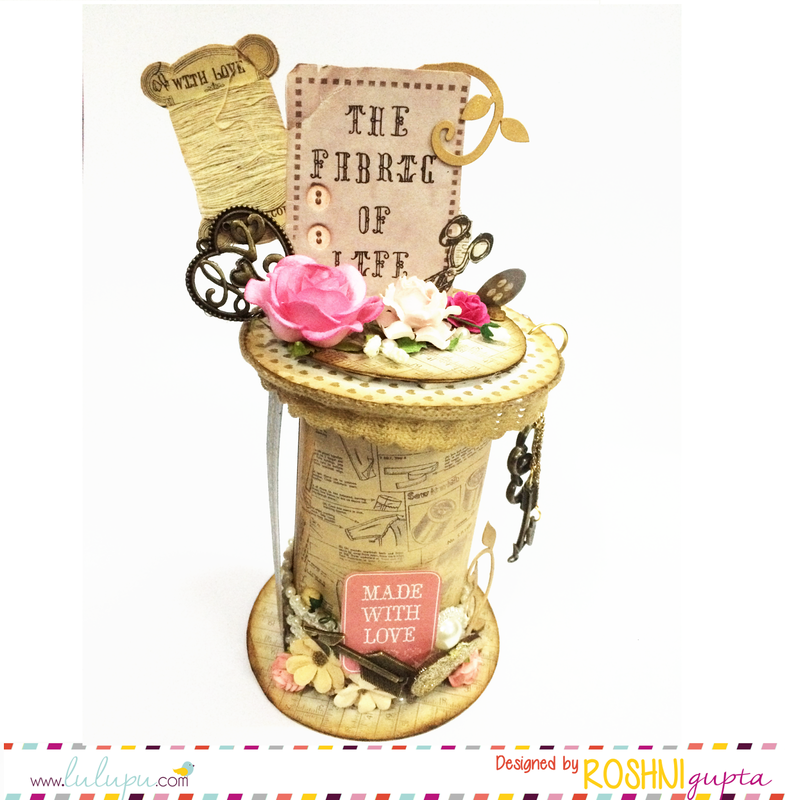 Since this is the month of Love, I dedicate this to my love for crafting. 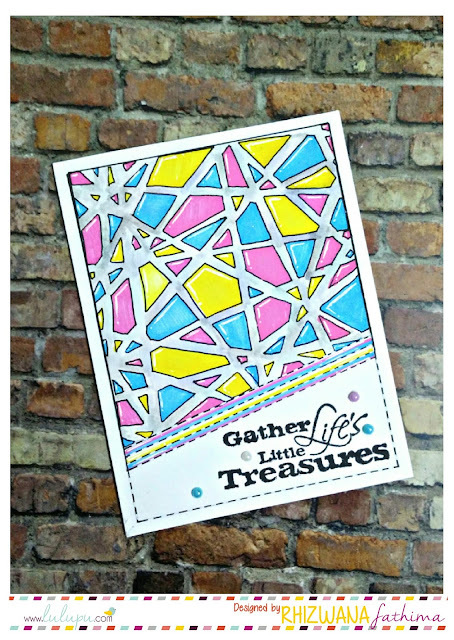 I got these fabulous patterned papers from Kaisercraft- Needle and thread in my DT kit . So, I made this double flip-box using these papers. All the floral cut-outs, those spool images, labels are from this collection itself.